Brick Town Talk: International Affairs - LEGO Town, Architecture, Building Tips, Inspiration Ideas, and more! Town Hall Square- (BTT) In an increasingly globalized world, more and more countries are becoming connected in ways that only 20 years ago seemed impossible. All of that connectedness doesn't always mean that everybody gets along, and that's where the consuls step in. Even in a (somewhat) unassuming building, decisions and treaties are being made to keep peace in the world. 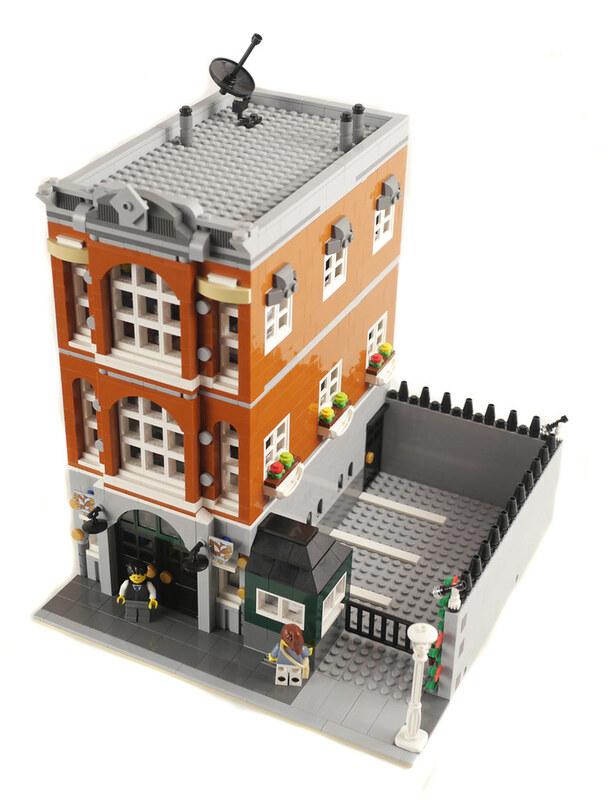 This great consulate from Brian (BrickCityDepot) gives all of the comforts of home to the foreign consul in Lego city, with a nice office, cafeteria area, and secretary's desk, all inside of the furnished interior. And the parking lot isn't too shabby either!